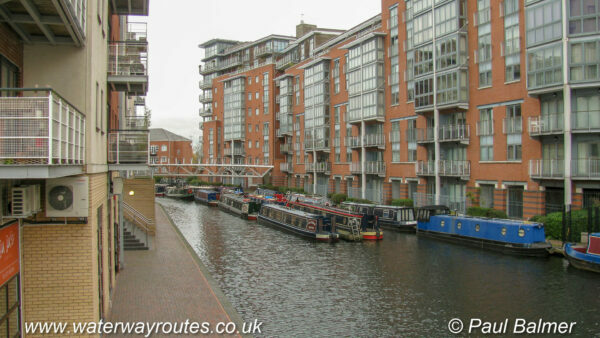 Sherborne Wharf Marina occupies the centre and western sections of the Oozells Street Loop. All the moorings are private, but it’s possible to cruise straight through, between Old Turn Junction and Ladywood Junction. In the centre of the picture is our Waterway Routes narrowboat on its home mooring where it spends much of the winter. In the summer we are out cruising as we check the data for our maps, and film for our DVDs.